Home > Buying Wine > California Wine Institute – China Wine Tour 2014, Shanghai. Police, security, scanners and metal detectors were the order of the day, with each guest-and there were plenty-having their bags scanned and being searched. It would make for a great scene in a wine thriller, but alas the security measures were all part of the lockdown in Shanghai due to the 4th Conference on Interaction and Confidence Building Measures in Asia. The minor inconvenience was completely worthwhile. This was a diverse, dense, rich assembly of many of the best Napa, Sonoma and Russian River has to offer. This year there was a special focus on the wines from Sonoma and Russian River, and industry legends such as Dan Kosta and Shari Staglin were on hand to pour some fascinating, thrilling wines. Not only was there an eclectic, dense array of wines and wine styles from California on tasting; the CWI held a special seminar on California wines led by Matt Stamp, Master Sommelier. 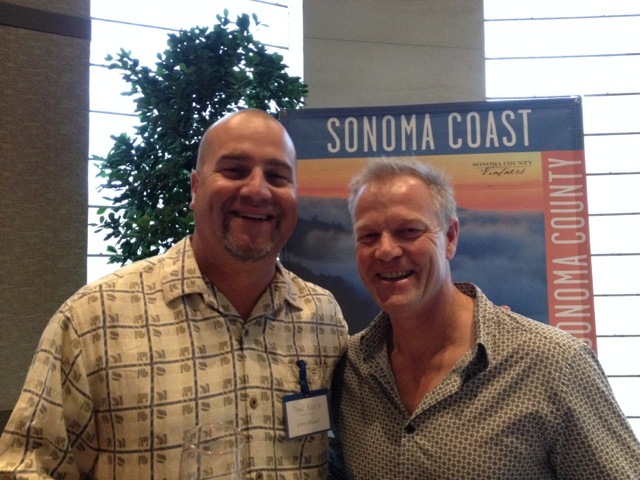 Winemakers from Sonoma County hosted a tasting and panel discussion with wines from other California regions also poured, including those from Napa Valley, Santa Barbara County, Paso Robles, Lodi and the Central Coast. Renowned wine educator Debra Meiburg MW and four of Sonoma County’s distinguished wine-makers and vintners held a discussion around the leading trends of California’s premiere cool climate growing region. This informative and highly personalized view of the trends, styles and direction of these exciting world-renowned regions hit its mark with a highly enthusiastic Chinese and foreign crowd. With over 50 wineries on show, it’s difficult to pinpoint all the highlights. Well known Staglin, Heitz, Stag’s Leap, Paul Hobbs, Silver Oak, Beringer and Kosta Browne were all showing brilliantly, and lesser known (in China at least!) Star Lane, Twomey, Novy and Foppiano among others had a feverish clientele in this crowded and buzzy trade day. 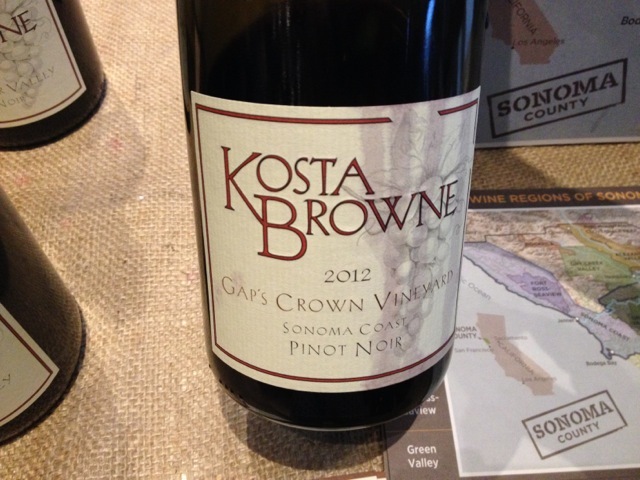 If you can get your hands on the 2012 Kosta Browne Gaps Crown Vineyard Pinot Noir from Sonoma Coast, you’d be very content. This was probably my wine of the tasting, though to be fair there were just too many to wade through. This is glorious Pinot; perfumed, foresty and sweet, rich, cherry on the nose, with a round, rich dark fruited intensity on the palate. Brilliant winemaking, great fruit, seen also in their 2012 Russian River Pinot. Silver Oak was particularly opulent this night too, their Napa and Alexander Valley Cabernets long, rich, broad and with a dense, ripe core of lovely tight cabernet berry. Interestingly, Syrah and petit syrah seems to be getting a foothold with the Foppiano particularly fragrant, perfumed and spicy, brambly dense. This event served to highlight the best of Napa and especially Sonoma, underlining the massive popularity and growth opportunities for Californian wine here in Asia.